Postcard Tales will be delivered to your inbox! 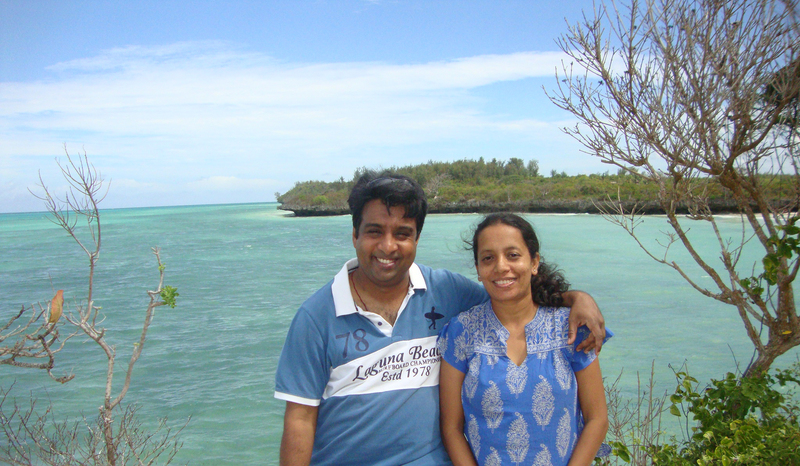 Finally, I get to see the turquoise blue waters of the Indian Ocean! 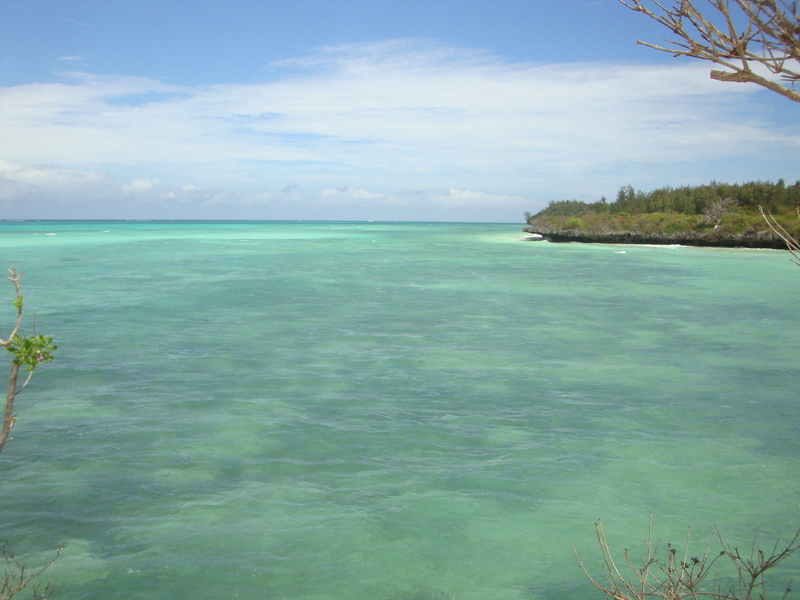 The Michanvi Pingwe Beach on the south-east coast of Zanzibar, has so far been one of the most beautiful beaches I have seen on the island. 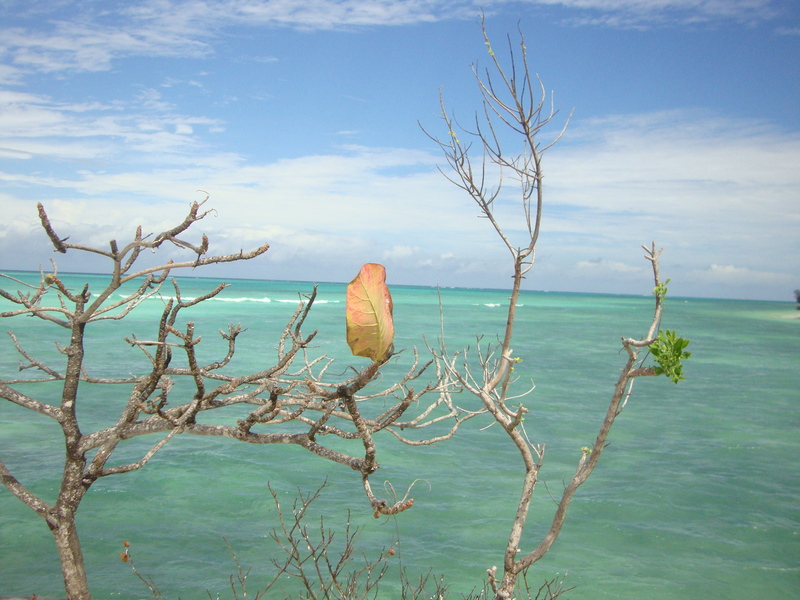 Weather wise it is one of those `perfect days’ with a lovely sea breeze and the pictures say the rest! 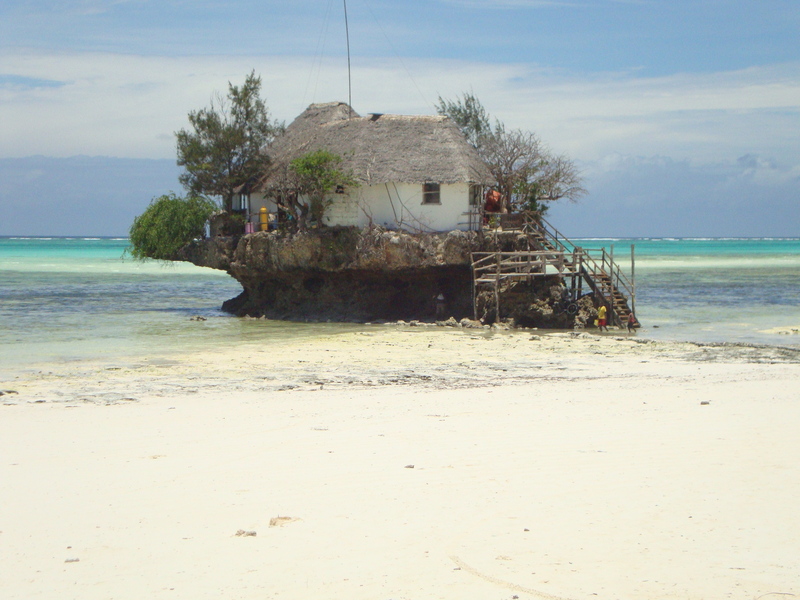 What draws tourists here is The Rock, a restaurant built on a tiny ocean rock close to the shore of the Michanvi Pingwe Beach. Standing on the beach and seeing this restaurant set against the turquoise blue waters and the blue sky, is stunning and feels surreal. I thought only Photoshop created such images! 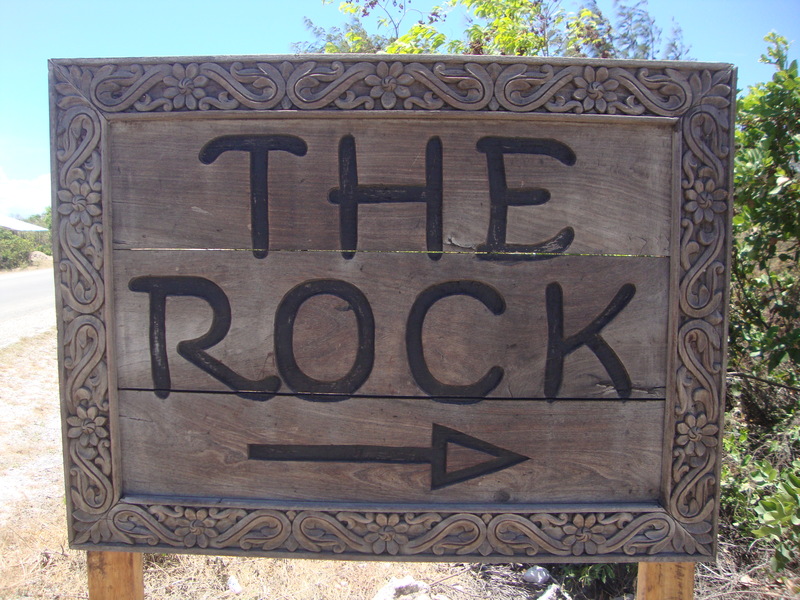 The Rock was originally a fisherman’s post, which has been restructured into a restaurant with a terrace that has a panoramic view of the sea. How you get there depends on the tide; you will either have to take a boat or wait until the low tide, so you can walk in. We got there just before 1.00pm when the tide was low, and waded through the water being careful of the stone walkway, which is a bit slippery. 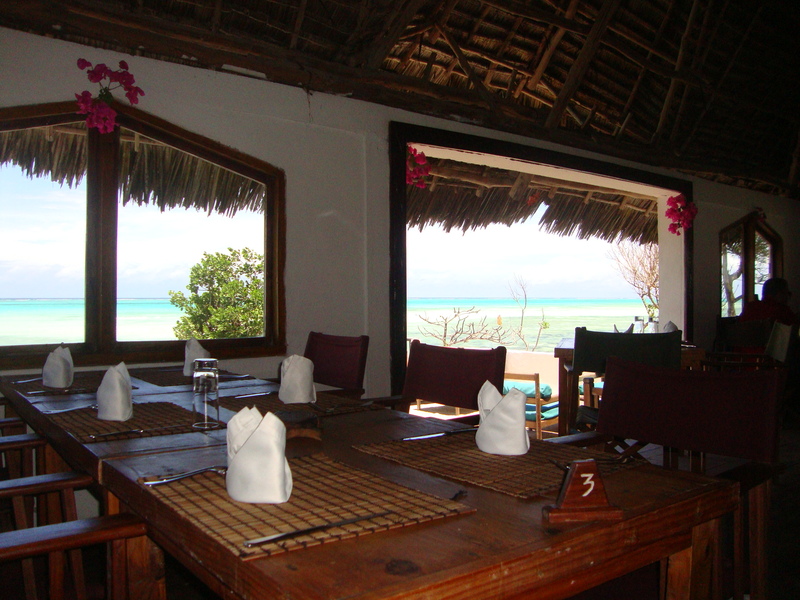 The restaurant is pretty like most beach shacks, with a thatched roof and small bunches of bright pink Bougainvillea adorning the walls. But what is most amazing are the ocean views. The restaurant of course specializes in seafood and everything is a bit pricey. But I guess being the star attraction of this beach, that was to be expected. 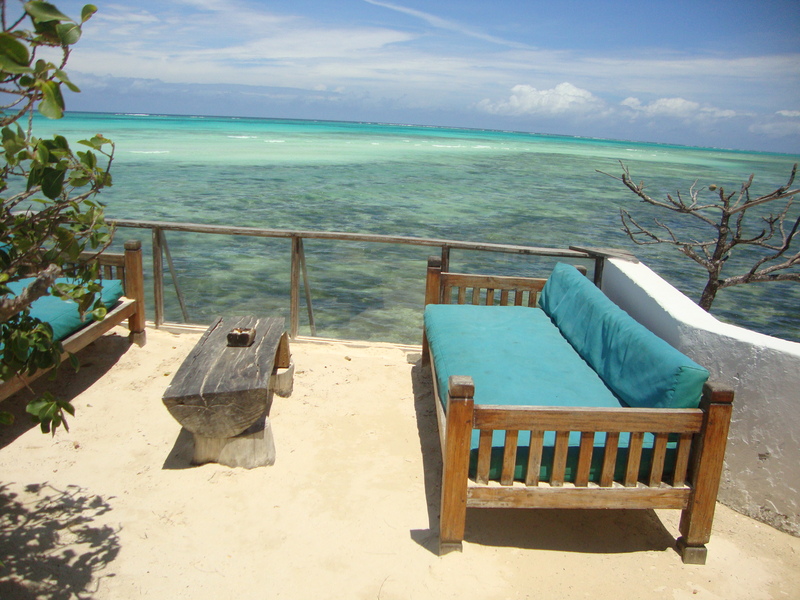 So whether you’re into seafood or not, just coming here for this stunning view makes it totally worth it. Taking in the view while eating, we didn’t notice the tide rise and on descending the stairs after about 2 hours, realized that The Rock was now an island! The restaurant had a boat waiting to ferry us ashore. 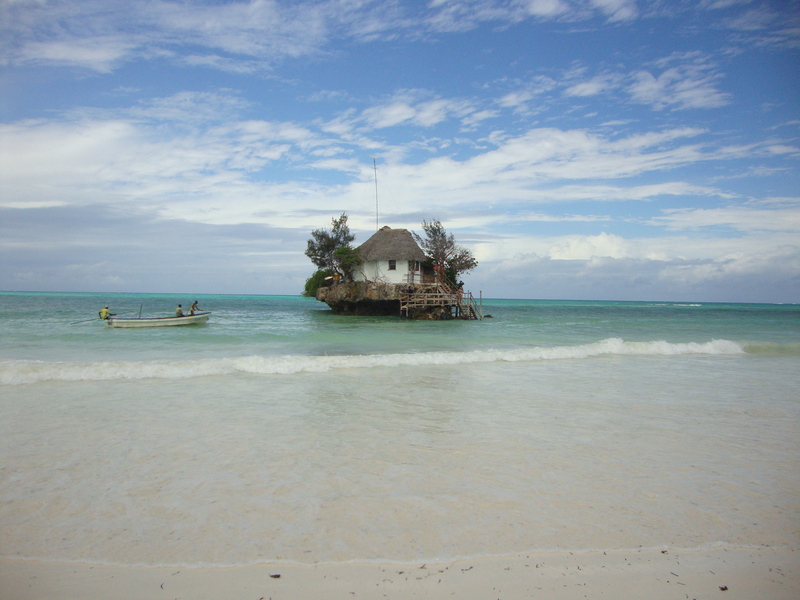 If anyone is visiting the east coast of Zanzibar The Rock is not to be missed!